Fly with West Jet to Vancouver and then connect with Capital Airlines for your flight to Qingdao (China). 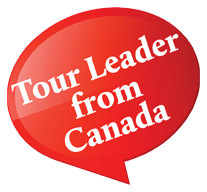 Start your worry-free vacation with the guidance of our Canadian Tour Leader. Cross the International Date Line and arrive in Qingdao (China), a beautiful seaside city in Shandong Province. You will be greeted by your local guide and transferred to the hotel to rest up for the adventures set for the next day. After breakfast, you will take a city tour in Qingdao. Visit Zhan Bridge, the landmark of the City spanning 400-meter-long and 10-meter-wide. It extends into the sea from the prosperous Zhongshan Road in the urban area. Then visit the Qingdao Catholic Church, designed in a Gothic and Romanesque style by German architect, Arthur Bialucha. Continue on to Xiao Yu Shan (Little Fish Hill) Park. Here you will see some of the best views in Qingdao, overlooking Huiquan Bay. For lunch, enjoy the renowned Qingdao’s Special Dumpling Banquet and after, visit the first and only beer theme museum in China: Tsingtao Beer Museum, a world-famous manufacturing enterprise specializing in brewing. Next visit the Museum of the Former German Governor’s House in Qingdao. Built in 1903 at a cost of 2.5 million tears of silver, it is one of Qingdao’s best examples of Concession Era Architecture. Then, you will proceed to Eight Great Passes, also called the "Exhibition of the World's Architectures", named after the eight passes of Great Wall, containing various styles of villas. At the end of the day, enjoy a Welcome Shandong Cuisine Dinner. After breakfast, you will be exploring the Mount Lao Scenic Area and Temple of Supreme Purity in Qingdao, and after lunch, take a bus ride to Qufu, Hometown of Confucius, whose philosophical teachings, have played and continues to play a vital role in the evolution of the Chinese civilization. Confucianism defines the soul of China and the nation for a majority of the Han Chinese who make up 92% of the Chinese population. Tonight, enjoy dinner in a Confucius Restaurant. Today we will visit the Confucius Temple which features a series of impressive gateways, clusters of twisted pines and cypresses, inscribed steles and tortoise tablets recording ancient events. The temple cemetery and the residence together form a UNESCO World Heritage Site. And finally, visit Confucian Mansion inhabited by Confucius’ descendants (now a museum) and the sage’s last resting place at Confucius Forest. We will drive to Tai’an, the city at the foot of Historic Mountain Tai, the most revered of the five sacred Taoist mountains of China. Following a leisurely breakfast, we will visit Mt. Tai which has been a great source of inspiration for poets, writers and painters since the dawn of Chinese history. In 1987, the UNESCO designated Mt. Tai a World Natural and Cultural Heritage Site. Ride the cable car to the midpoint and then hike to the summit for a rewarding view of the surrounding countryside. Please be forewarned that the hour-long journey includes strenuous stair climbing. The energetic may choose to skip the cable car and conquer the entire 6000 steps on foot. Head back to your hotel for a Buffet Dinner. After breakfast, we drive to Ji’nan, the “City of Springs” get ready to enjoy a tour of the “Best Spring of the World” Baotu Spring and Daming Lake. Then, after lunch, you will take a High-Speed Train to Luoyang, a city in He’nan province. You will be met by your local guide and transferred to your hotel. Take a morning visit to Longmen Grottoes a UNESCO World Heritage site regarded as one of the three most famous treasure houses of stone inscriptions in China. Take a ride to Dengfeng (1.5 hour drive). Visit the famous Shaolin Monastery. The Pagoda Forest in Shaolin Temple was a concentration of tomb pagodas for eminent monks, abbots and ranking monks at the temple. You will enjoy the world famous Chinese Shaolin Kung-fu Show afterward. Enjoy a famous traditional Luoyang’s Banquet for dinner. Then drive to Zhengzhou. On this day you will visit the Yellow River Tourist Area. After lunch, enjoy a tour of the Henan Museum which has a collection of more than 13,000 pieces of cultural relics through the ages. Visit Dehua Street, a typical pedestrian shopping street in Zhengzhou city to experience the atmosphere of the local markets. You can enjoy a free evening and dinner on your own arrangement. After breakfast, we will fly back to Qingdao ( Lunch on the flight ). In the afternoon, we will have a tour to May Fourth Square famous for May Fourth Movement, a student lead anti-imperialist, cultural, political movement. Next visit Qingdao Olympic Sailing Center, one of the 2008 Beijing Olympic arenas. Tonight we will sample the famous Featured Wok Steamed Seafood as a Farewell Dinner. After breakfast, you will be transferred to the airport in Qingdao for your departure to Canada. You are to arrive home on the same day. China Group Visa: C$180.00 per person. Add-on ticket by Air Canada or West Jet, seats are subject to availability. *Add-on ticket by Air Canada or West Jet, based on Individual ticket, Air fare not including check-in luggage fee. Business Class Upgrade is from $2,590 per person for Vancouver / Qingdao / Vancouver, seats are subject to availability.